Sentence: Served one year at Rikers Island in New York. Ever wonder why Lil Wayne hates New York? It probably has a lot to do with the fact that on July 22, 2007 he was smoking weed in NYC by his tour bus when the police ran up on him and found him rolling with a .40 caliber semi-automatic pistol in his bag. 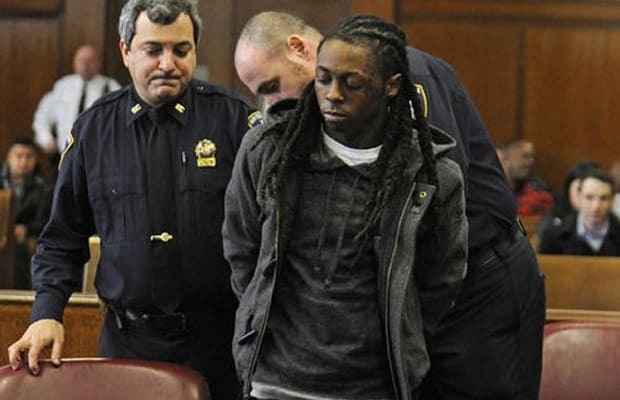 Although the gun was registered to his manager, Weezy was charged with criminal possession of a weapon. Wayne eventually pleaded guilty to the charge and got sentenced to a year in prison. Two years later, on "Nightmares of rhe Bottom," Wayne lamented, "If I knew I was going to jail I would have fucked my attorney." Word.